Please call 905 628 6533! 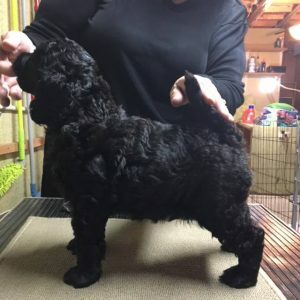 Welcome to Valmara Standard Poodles! 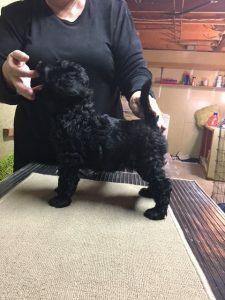 We are a small kennel located in beautiful Dundas, Ontario, Canada that breeds quality black and white Standard Poodles for show and pet homes. All of our puppies are home-raised and come with health and temperament guarantees. Feel free to contact us should you have any questions. Valmara Standard Poodles is owned and lovingly run by Marra Messinger, her husband Jack, and their daughter Atara. Valmara is a small home-based kennel that produces one to two litters a year. All puppies are born and raised in the house and are fully socialized and paper trained by the time they go to their new owners. Marra Messinger has been involved in the dog world since 1967, first in Canada and then from 1975-2000 in Israel. Before breeding Poodles, she bred top-winning Norwegian Elkhounds. Generation after generation of her Elkhounds won top honours in the conformation ring, including all-breed Best in Shows and a Best Israeli-Bred Dog at the 1987 World show. In Israel, Marra also became a conformation judge and is now licensed to judge many of the breeds in the FCI Spitz group. 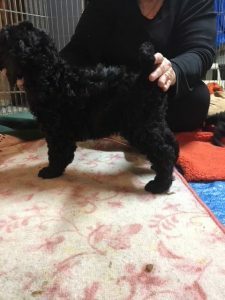 Marra decided to breed Standard Poodles in 2000 when she returned to Canada. 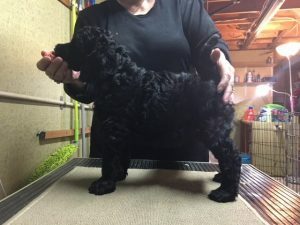 In just 12 years, she has succeeded in creating a line of smart, healthy, top-winning Poodles that includes 35 champions, Specialty Best in Show and All-breed Best Puppy in Show winners. Many Valmara dogs also participate in obedience and agility trials. 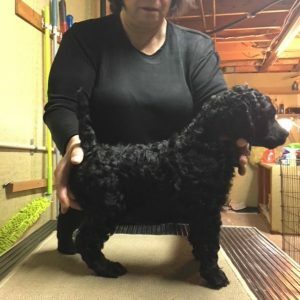 Marra’s aim as a breeder is to combine art and science to produce the best Poodle possible. Her philosophy towards pet owners is both honest and supportive. New owners are encouraged to stay in touch and are welcome to consult with Marra on any issue which may arise. All Valmara puppies come with a written health guarantee.